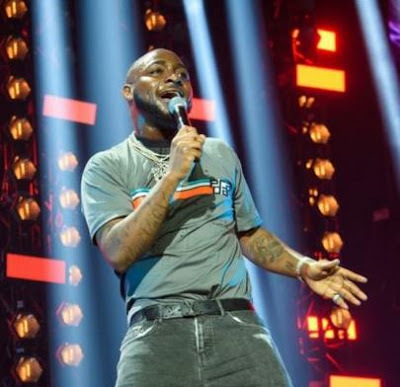 Davido The `Aye’ crooner recently had his first sold-out show at O2 Arena, London. VestiVille is a brand new music festival in Lommel, Belgium. The festival is positioning itself to become the premier hip hop and urban music experience in Europe. The `Assurance’ crooner posted on his Instagram handle @davidoooficial the notice for the three day long festival with a caption, “Festival season 19 ….New level unlocked @vestiville.’’ #Askdavido: Money, record deal, endorsement, top questions Nigerians ask Davido. The festival is scheduled to commence on June 28 with performances from a 33 year-old French rapper Gandhi Djuna, 25 year-old American born singer Rodriquez Broadnax a.k.a Jacquees and Ellen. Nigeria’s Davido, Migos, Lil Pump, Niska, Boef, Saweetie, Eno and Sevn Alias would perform on June 29. Artist to perform on June 30 include, 27-year old York born Belcalis Almanzar a.k.a. Cardi B, the group Migos, and Atalanta born Nayvadius Cash a.k.a. Future, Others are Robert Rihmeek Williams a.k.a. Meek Mill, Niska, Lil Pump and many more. Davido’s performance at the festival is a signal to the world that Nigeria is blessed with talented music stars.